We offer bespoke investment management services, personalised wealth planning advice and advice for public and private growth businesses which includes corporate finance, broking and fund raising capabilities. With a presence regionally across the UK as well as internationally in the Isle of Man, our services are available to individuals, corporates, trustees, funds and institutional clients. By offering a personal and jargon-free service, we are able to provide timely advice and create long term relationships based on trust. WH Ireland Group plc is listed on AIM, a market of the London Stock Exchange Group plc, and seeks to comply with the provisions and principles of good corporate governance and code of best practice as set out in the UK Corporate Governance Code (‘the Code’), in so far as it is practicable for a Company of its size and structure. WH Ireland Group plc was incorporated in the UK in 2000 and its main country of operation is England. Click here to view a PDF of WH Ireland Group’s Articles of Association. WHIreland is subject to the UK City Code on Takeovers and Mergers. The Directors of WHIreland have chosen to apply the Corporate Governance Code produced by the Quoted Companies Alliance (“QCA”) (the “QCA Code”). The QCA Code is constructed around ten broad principles and a set of disclosures which notes appropriate arrangements for growing companies and requires companies who have adopted the QCA Code to provide an explanation about how they are meeting those principles through the prescribed disclosures. The table stating those ten principles and which sets out how WHIreland addresses them can be found here. The principal function of this committee is to determine the policy on Executive appointments and remuneration. The committee is chaired by Jonathan Carey. It is the aim of the committee to attract, retain and motivate high calibre individuals with a competitive remuneration package. Remuneration for Executives normally comprises basic salary, bonus and benefits in kind. 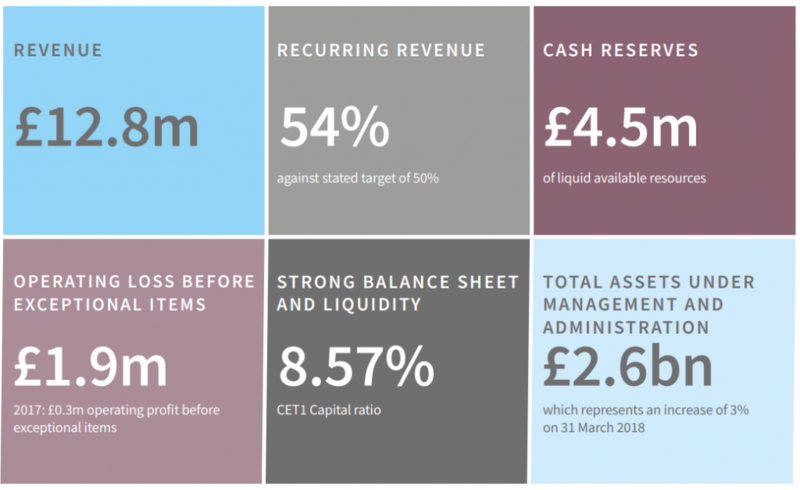 Details of the current Directors’ remuneration and the Executive Share Option Scheme are given in the Remuneration Report of our Annual Report and Accounts. The Chief Executive and Finance Director may be invited to attend certain discussions of the committee. The committee is chaired by Jonathan Carey. It is responsible for reviewing the Company’s arrangements with its external auditors, including the cost effectiveness of the audit and the independence and objectivity of the auditors. 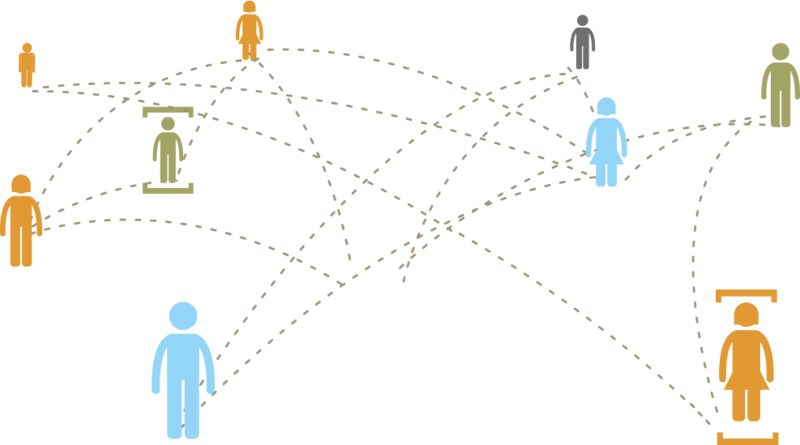 It also reviews the application and appropriateness of the Company’s accounting policies, including any changes to financial reporting requirements brought about by both external and internal requirements and it gives consideration to all major financial announcements made by the Company including its interim and preliminary announcements and annual report and accounts. All AIM companies are now required to apply a “recognised corporate governance code” and to explain how they apply that code. The Directors of WHIreland have chosen to apply the Corporate Governance Code produced by the Quoted Companies Alliance (“QCA”) (the “QCA Code”). Our Executive Committee is responsible for implementing strategy as agreed by the Group Board and for the management of the business. It consists of Directors and Senior Management from across the WHIreland Group. Phillip joined Seymour Pierce, the corporate & institutional broker and wealth manager, in 2010 and was appointed its Chief Executive Officer in 2011. Between 2012 and 2016 he was Chief Executive Officer of Panmure Gordon & Co. 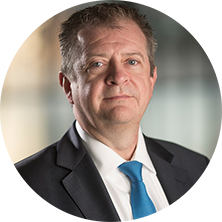 Prior to joining WHIreland in August 2018, Phillip was Head of Fixed Income (Europe) at Cantor Fitzgerald Europe. Stephen is an experienced executive director and leader in the wealth and investment management sector with a proven track record of implementing strategic change and generating shareholder value. 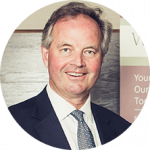 Between 2000 and 2016 he worked at Brewin Dolphin, becoming Head of Wealth & Investment Management in 2013. In 2016, Stephen joined City Asset Management as Head of Sales. Stephen joined WHIreland as Head of Wealth Management in 2019. Richard is responsible for firm-wide talent management and people strategy. Richard joined WHIreland in 2013 with over 15 years’ experience in senior human resources positions in Financial Services and Asset Management businesses. 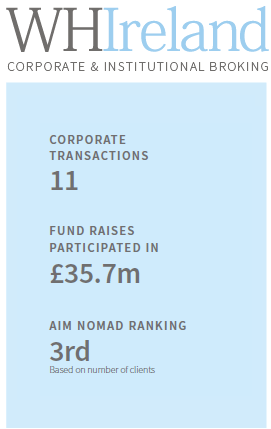 During Adam’s career he has led over 300 fundraises for a wide cross section of listed UK plc’s and has advised a number of companies, both large and small, as to their wider corporate requirements. 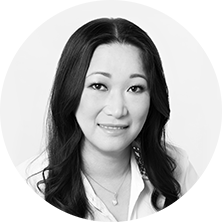 Yen, a chartered fellow of the Chartered Institute for Securities and Investment, joined WHIreland from Swiss investment house, Bellecapital as Group Head of Compliance and Risk and MLRO. 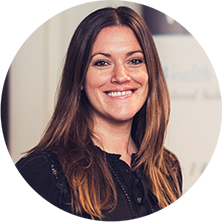 Yen has over 22 years’ of Compliance expertise, with a proven track record specialising in constructing effective Compliance & Risk architecture and frameworks. Yen leads the Compliance teams within the Corporate & Institutional Broking and Wealth Management divisions and, subject to FCA approval, will be CF10 and CF11 for the Group. Kate joined the company in 2017. Prior to joining WHIreland she worked for a major London Museum as Executive Assistant to the Directorate team. Her responsibilities include taking all Group Board PLC minutes and all other sub committees, and she works closely with the senior management team. This interim report covers the six month period to September 2018 and is the first since our decision to move our year-end to 31 March. The firm has continued to progress its transformation programme during this period in order to provide a more robust platform and enhance our offering to clients for the years ahead. As I have stated before, the scale of this process has not been without additional cost and labour, but is now closer to fulfilment. The last two months of this period saw a number of important changes, building on the work undertaken in recent years. 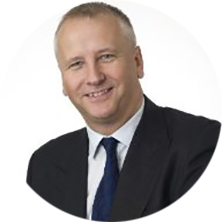 Phillip Wale joined us as CEO (elect) from August 2018, with the FCA approving his appointment last month. Phillip has brought considerable experience to the Board of WH Ireland having held a number of senior positions in similar financial services businesses, which span both Wealth Management and Corporate and Institutional Broking, including senior positions at Goldman Sachs in both New York and London, and Chief Executive roles at Seymour Pierce and Panmure Gordon & Co. The Group has also seen a strengthening of our core shareholder base during the period, with Polygon and Oceanwood agreeing to increase their stakes in the firm, alongside the welcome addition of M&G joining the key shareholder list. We have previously described to shareholders the initiatives being undertaken across our Private Wealth Management business, including the focus on increasing discretionary assets under management and the outsourcing of our custody and operational functions. The period under review saw further progress on both counts and whilst more needs to be done to improve the profitability of the division, I am encouraged by what has been achieved to date. As has been widely reported, the Corporate & Institutional Broking division is operating in a market that has seen a high degree of uncertainty in recent months but importantly, the division has remained profitable for the period. Notwithstanding this backdrop, we have undertaken a number of notable capital raisings and advisory roles in the period and I believe that we have established a business model which is positioned well to take advantage of the structural changes being brought about in our industry by the introduction of MiFID ii legislation. 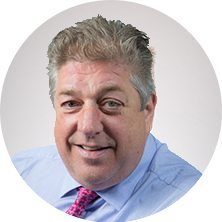 The division is already benefiting from Phillip Wale’s considerable experience in the short time since his appointment and will continue to provide a high quality of service to both our corporate and institutional clients as we grow, whether it be through advice, access to capital or trading capabilities. The Board continues to progress its transformation strategy and, following his appointment as CEO, Phillip has been tasked with delivering an accelerated path to growth and profitability of the Group, for the benefit of all of the Company’s stakeholders. 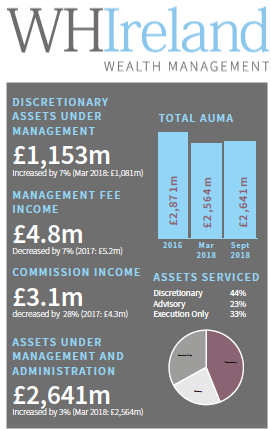 Fee income (CIB retainers, Private Wealth management and advice fees) is now running at approximately £1.3 million a month, representing nearly 55% of our total monthly revenue and provides a strong platform from which to continue to build. Whilst there remains much to be achieved, I believe that the foundations are being put in place to deliver growth across both divisions. Finally, I would like to acknowledge on behalf of the Board and Senior Management team, the continued hard work and focus of all of our employees during the past six months. The Board of WHIreland Group plc is responsible for the management of the Group and comprises of two Directors and five Non-Executive Directors. A biography of each can be found here. Eight offices based regionally across the United Kingdom, and internationally in the Isle of Man.